It is said that Victorian period saw the peak of poetry in English literature. Alfred Tennyson was one of the greatest poets of Victorian Era. You can read his detailed biography. 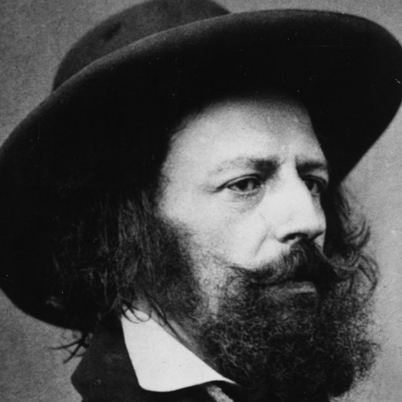 Alfred Tennyson was born on August 5, 1809, in Somersby, Lincolnshire as the son of a clergyman, George Tennyson. He had a troubled childhood as his father suffered from a mild form of mental illness, fits, and alcoholism. It was from his mother, Elizabeth Tennyson that he acquired the spirit of poetry in his childhood days. She would read out to her children works of Milton, William Collins, and Thomson. Tennyson got inspired primarily by his mother. In his teens, he entered Trinity College, Cambridge but was called home soon because of his father’s illness. In 1830 and 1832, he published two volumes of poems which were met with harsh criticism and this deeply wounded him. Meanwhile, Arthur Hallam, one of his friends died suddenly. Hallam was a brilliant man of the time. Grief always continued to follow him which he expressed in poems like In memoriam, the passing of Arthur and Ulysses. In 1833, the work poems were published when Tennyson was merely 23 years old. In the same year, his brother Edward was admitted to a mental institution. Three works of Tennyson “The Lady of Shallot“, “Sir Launcelot and Queen Guinevere“, and “Galahad” were based on Arthurian subject matter. The lady of Shallot is an expression of the isolation and pain of a lady. Tennyson’s engagement with to Emily Sellwood ended when he did not have enough money for the marriage. Tennyson, by 1842 became a famous poet and began to receive a government pension of 200 a year. It was in 1840 that finally he was accepted as one of the most popular poets when he was appointed as a poet laureate. Tennyson was strongly encouraged by persons like Queen Victorian and Thomas Macaulay. In the 1850s, Tennyson began to return to Arthurian subjects. He made visits to places associated with Arthur like the Wales and Glastonbury. Months later, he published the first four books as Idylls: “Enid” was written in 1856, “Guinevere” in 1857, and then came “Elaine, in 1858, and all of these poems including “Vivien” were completed in 1859. One of the most important characteristics of his poetry was the appreciation of beauty. His admiration of nature and romance made him a true poet of all ages. His fancies, narrative skills, realistic sketches etc were unique and exceptional. Tennyson had considerable difficulty in reading and writing because of his short-sightedness. He died at the age of 82 on October 6, 1892. I hold it true, whate’er befall; I feel it, when I sorrow most; ‘Tis better to have loved and lost Than never to have loved at all.